Senior Paul Watson's (#3) layup attempt is blocked by Prairie View A&M's JD Wallace (#12) on Monday, Nov. 14, 2016, at the Save Mart Center. Midway through the first half the Lobos jumped out to a 14-point lead but the Bulldogs responded by going on a 13-1 run to close the half and narrow the margin making it 36-34 at halftime. 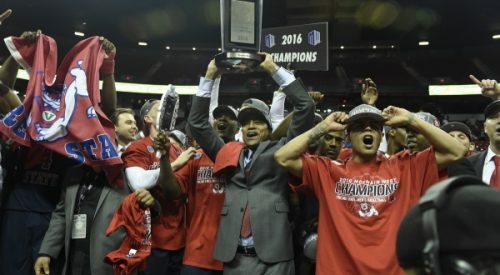 Fresno State couldn’t capitalize on the way it ended the first half and began the second half on a shaky start. With eight minutes remaining in the second half, senior forward Paul Watson scored five straight points to tie the game 53-53. The Bulldogs weren’t able to take the lead and with a minute left in the game, the team found itself down 71-63. 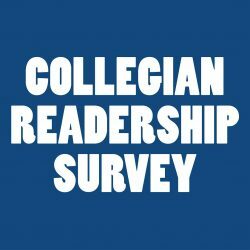 Fresno State junior guards Jaron Hopkins and Jahmel Taylor, and senior forward Cullen Russo combined to score 11 points in the last 50 seconds of the game but the late push fell short as the Lobos made crucial free throws down the stretch. New Mexico’s Elijah Brown had a game-high 19 points and went 14-for-14 at the free throw line. The Lobos went 29-for-34 at the free throw line, while the Bulldogs went for 7-for-12. Taylor scored a team-high 17 points for the ’Dogs and was 3-for-6 from the 3-point line. He added seven rebounds, three assists and one steal. Senior forward Karachi Edo made his first start of the season and had 15 points, six rebounds, two blocks and two steals. 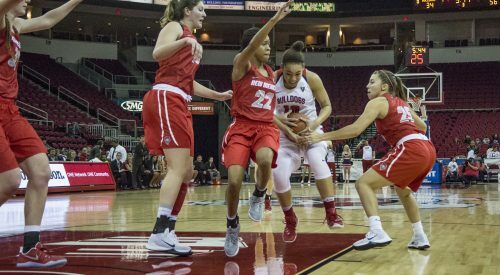 The Bulldogs (8-5, 0-1 Mountain West) return to the Save Mart Center to take on Nevada (12-2, 1-0 MW) on Dec. 31 at 4 p.m. 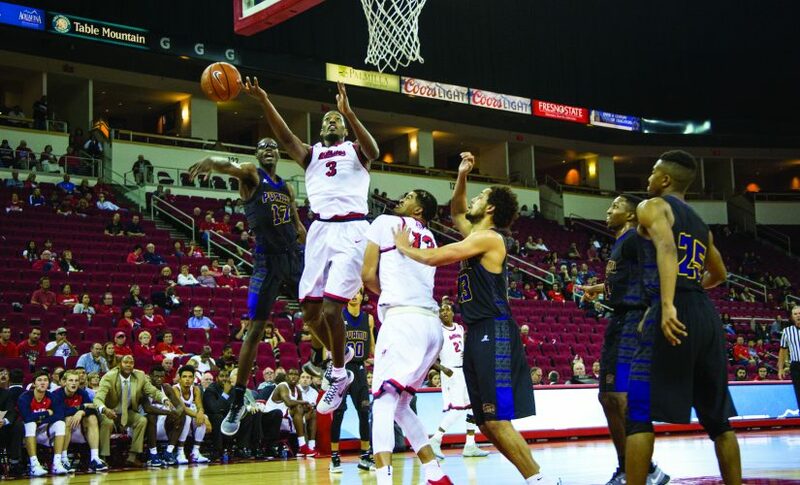 The Wolfpack began their MW play with a win defeating San Jose State 80-55 on Wednesday evening.